The AquaGard 7100 Series is now available to configure in DTools. The new 7100 Brochure and Engineering Manual are available for download on Dorner's Literature Page. See the AquaGard 7100 Series in Action! 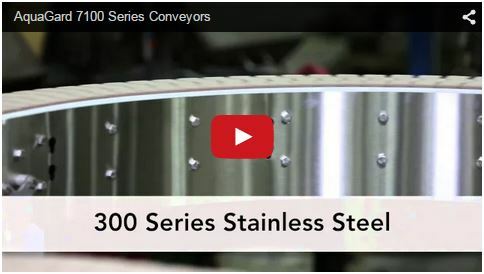 We recently filmed a new video highlighting the beatures and benefits of the 7100 Series conveyor. 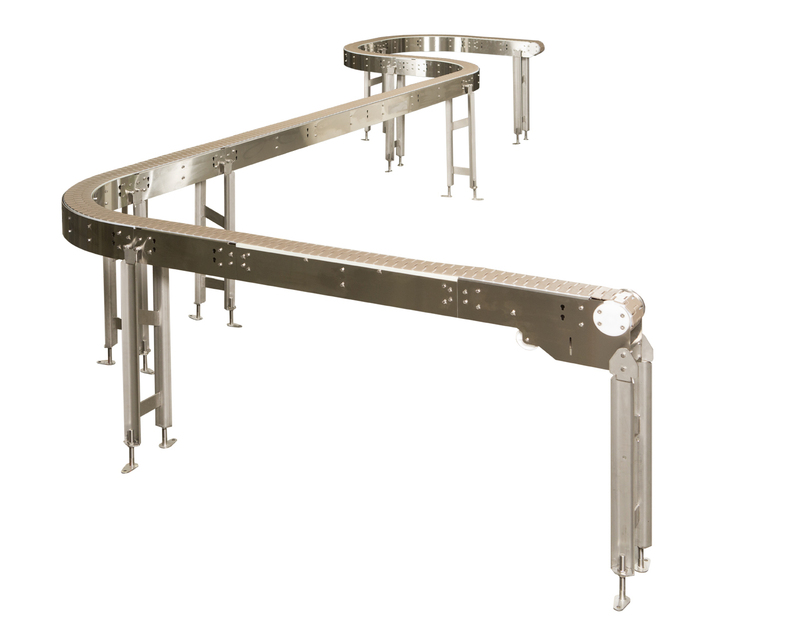 When space is at a premium, you need innovative solutions for moving product. 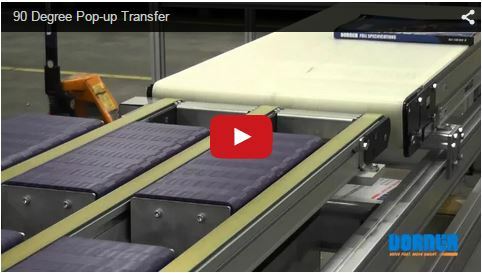 This 90 degree pop-up transfer is one possible solution. Automate 2015 will be held March 23-26 at the McCormick Place in Chicago, IL. Come see Dorner in Booth #282 and get a first look at our new 2200 Smart Flex Pallet System and soon-to-be released 2200 Precision Move Pallet System. And it's not too late to register for FREE! "Without courage we cannot practive any other virtue with consistency. We can't be kind, true, merciful, generous, or honest."